In search of his place in the world, Kyn visits his new friend, Ben’hyamene. Together, they meet an ailing dragon rider from the marshes of a land called the Carr. The rider recounts a people beset by anger, depression, and despair. After befriending and healing the rider, the group travels to the rider’s home. There they discover a breed of wild dragons, called drakes, which have been at war with humans for four hundred years.One sleepless night, Ben’hyamene uses his new abilities to communicate with the lead drake. This sets Kyn and Ben’hyamene on a path that could bring peace to a conflict that’s nearly destroyed a whole people. 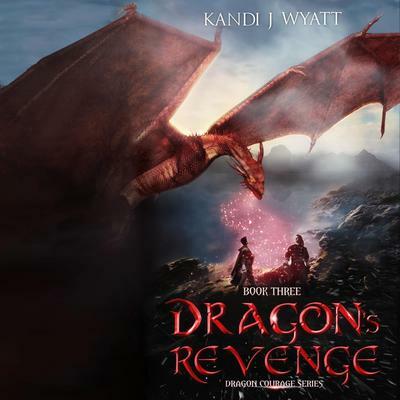 Can revenge be set aside and enemies be called friends?Find out in the exciting third book of the Dragon Courage series, Dragon’s Revenge by Kandi J Wyatt.